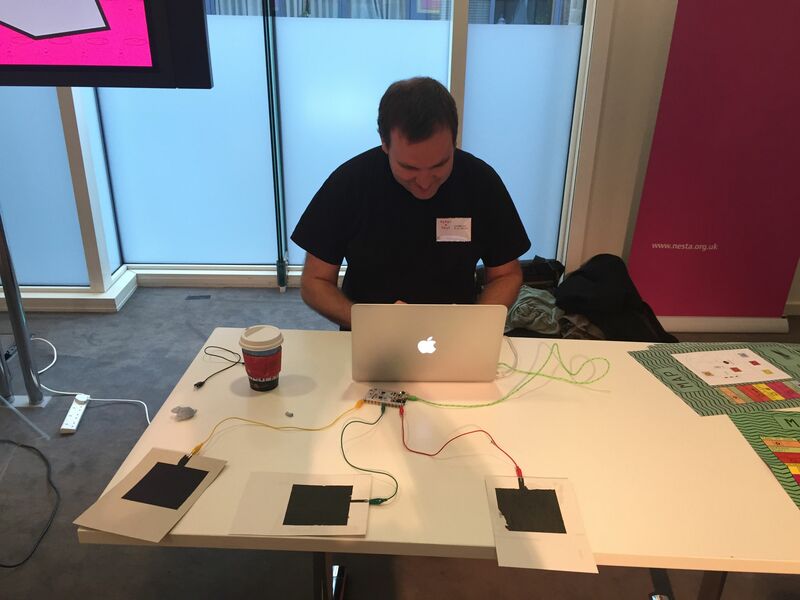 One of the technologies we had on show at the SoundLab Play Space was Bare Conductive’s Conductive Ink and TouchBoard. We used these to connect to Ableton Live and control a variety of parameters in a set. It took quite a lot of tinkering around to get the pads and the board to work as we wanted, and a lot of time to calibrate the pads to get them sensing and sending MIDI CCs. Hopefully I’ll be able to release to arduino code for the set we used soon. Hopefully I’ll be able to make some videos too to show how to get it done. 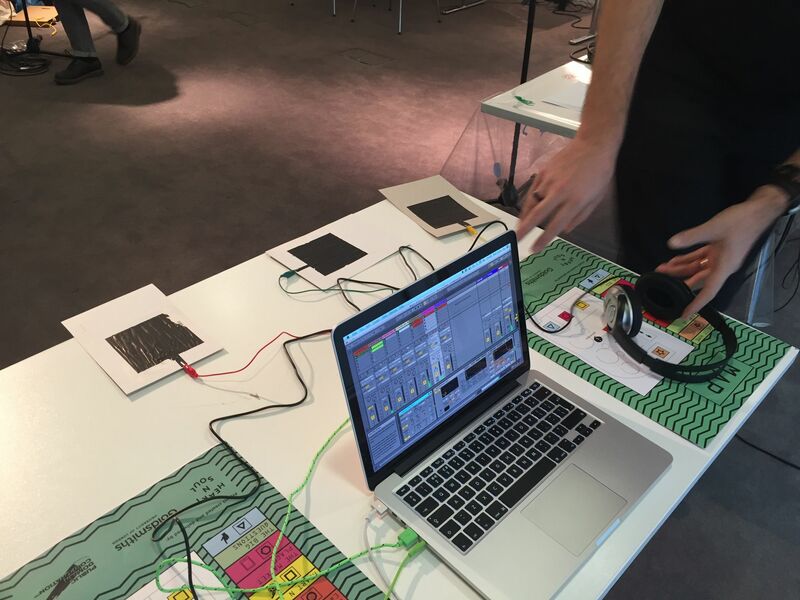 I think that that the TouchBoard is a really cheap and simple way to create effective gestural control via MIDI.